People with bad credit ratings find it hard to borrow money from conventional lenders such as banks. Subsequently many turn to expensive lenders such as pay day loans companies when they need a loan, generally at extortionate interest rates. However, over recent years social lending or peer to peer lending has developed from a single company founded in 2005 to a worldwide phenomenon. Some of the advantages of social lending are lower interest rates for borrowers and higher returns for investors than they would obtain through banks. Importantly, to borrow from a social lending platform you don’t need an impeccable credit history. Here we will focus on social lending for bad credit, looking first at conventional peer-to-peer lending platforms. While these will lend to much riskier borrowers than the banks, they too have limits. These are determined by default rates, bad loans that aren’t repaid on time, which are a measure of the risk to lenders. Such platforms have other constraints too, which we will also look at. More recently a different kind of social lending platform has emerged. This is based on the cryptocurrency bitcoin. Bitcoin lending and borrowing can happen without the need for a bank, which creates whole new lending opportunities. Bitcoin lending platforms treat credit ratings in an entirely different way and thus offer new opportunities for social lending for bad credit. We will look at how this works. Before we examine social lending for bad credit, we first must define what we mean by bad credit. If you do a personal credit report with a company such as Equifax, you will be provided with a detailed breakdown of your financial history over several years. You will also be given a numerical value on a scale that shows where you stand compared with the rest of the population. Scores range from 0 through to 600 in the UK; those with scores of 467 and over are considered to have an excellent credit rating and should have no problems borrowing from any bank of financial institution. With that in mind, the average score in the UK is around 390 and although it can be considered risky, people should still be able to borrow money though not at the best available rates. People with scores below 366 are considered to be high risk, and conventional borrowing is likely to be extremely difficult and if available then only at high interest rates, for instance pay-day loans. Note that the figures here relate to Equifax. Other credit agencies use different scales, for instance Experian and Call Credit scores range from 0 to 999 with any score below 720 considered poor. In the US Experian scores citizens between 330 and 830. Interestingly, Minnesota has the highest average credit rating, scoring 718 on average. This is in contrast to the southern states which typically score lower on the credit rating scale. The average credit rating the US is 687. While credit rating is important for people wishing to take out a personal unsecured loan with a bank, many more investors and platforms are willing to provide social lending for bad credit. But that doesn’t mean anybody with bad credit will be successful in obtaining a social loan. Most major peer-to-peer platforms will reject loan applicants with particularly bad credit. Social lending for bad credit isn’t available on Lending Club for applicants with a credit rating below 660 (Experian) and the minimum credit score on Prosper and Upstart is 640. Some smaller platforms will lend to applicants with lower credit scores, possibly as low as 600, but that almost certainly is the lowest that any conventional platform will consider. Funding for people with bad credit isn’t just a matter of loan availability. The cost of the loan is an important consideration, and there is huge variability. While typical good credit social lending interest rates are between 5% and 6%, social lending for bad credit rates can be as high as 35%. From an investors point of view, the key metric of concern is the default rate. In general, there is an expectation of direct correlation between default rates and the credit rating policy of the lender. Clearly a lender who is willing to lend to people and businesses with bad credit is likely to experience higher default rates. When a borrower defaults it is the investor who takes the hit, as the overall returns that can be expected are reduced. 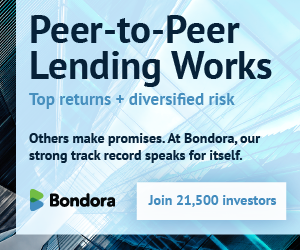 So if P2P lenders such as Lending Club and Prosper are willing to accept borrowers with relatively poor credit ratings should investors in these platforms be concerned? It is instructive to look at the default rate at these platforms and how they have varied over the years. Lending Club’s default rates in its early years from 2007 were quite high, but by 2010 they had come down from a high of 14% to just 2.8%. In 2012 Lending Club changed its policy regarding credit ratings. It lowered the average credit rating of borrowers and increased to average cost of loans by 2%. This had a small but noticeable impact on defaults. Overall the result was increased average yield for their investors. Since then default rates have continued to fall. In 2013 they were 3.6% and in 2014 they were 2.8%. Default rates at Prosper haven’t tracked those at Lending Club, primarily because of their different strategies in terms of average credit risk and interest rates in the early days, however, their lending policies are now similar as are their default rates and lender yields. There is a clear correlation between the default rate on credit cards, the economy and changes in employment levels, and the levels of risk have been modelled extensively. While there isn’t sufficient data to demonstrate the same levels of precision with peer to peer lending platforms, there is every reason to suppose that they are similarly correlated, and that the default rates would tend to increase should the economy take a significant downturn. However as long as the returns remain attractive, social lending for bad credit continues to offer investors overall value. As already mentioned, bitcoin social lending is a new model of peer-to-peer lending that replaces conventional currency loans with bitcoin loans. Banks are no longer required, and the fees charged are considerably lower. Some bitcoin lending platforms focus on business loans while others are experts in pay day loans. Bitcoin lending platforms treat credit risk far more flexibly than conventional social lending platforms. As bitcoins can be traded without restriction across international boundaries, loans can be made to a wide range of borrowers including those that live in regions that don’t have the luxury of credit rating agencies. So how do p2p bitcoin lending companies that operate globally assess the credit rating of borrowers? They will use the credit rating scores when available, but in many cases it isn’t. For borrowers who don’t have a rating, these newcomers to the p2p lending industry build a rating for each applicant based on a range of factors. Identity and address are established using passport, driving licence, utility and phone bills; employment status and income is verified through payslips or bank statements; and any online activity such as eBay and PayPal that reflects the way they handle finance is examined. Additionally, borrowers are also able to build a higher rating by developing an excellent loan repayment history, just like on Lending Club and Prosper. Thus bitcoin lending platforms can provide social lending for bad credit and to borrowers who have no official credit history at all, yet at the same time minimise the risk of default. They assign a credit rating to each loan applicant. The ratings range from A to F and the interest rate payable varies from around 8% for an A credit rating through to around 30% for an F rating. From a borrower’s viewpoint, although the higher interest rates might seem high from a local perspective, often they are considerably lower than those prevailing currently in the region where the borrower lives. In many cases they are the only loans that are available to the borrower. From an investors viewpoint, the interest rates provide excellent returns that mitigate the additional risks. If you are an investor seeking an opportunity to lend to a borrower in order to generate a far better return than you could hope to get from a bank or financial institution, then social lending provides exciting opportunities. Social lending platforms such as Lending Club and Prosper would appear to have honed their policies regarding client credit ratings and interest rates in order to offer their investors good returns without the need to expose themselves to undue risk. Bitcoin social lending for bad credit presents an alternative model, which has risks and opportunities attached. For investors who want to diversify globally, it may well be an interesting alternative. But for those sceptical of the higher risk, it will be worth sticking to the conventional domestic p2 lending platforms.